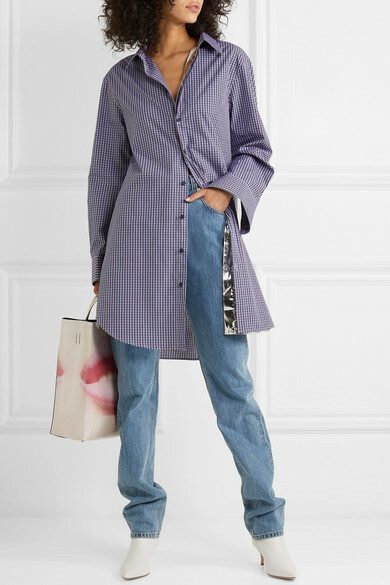 Maison Margiela always serves up traditional staples that look so contemporary, like this cotton-poplin shirt. 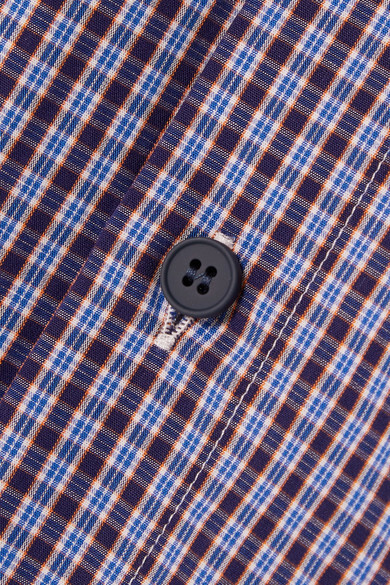 Made in Italy and printed with checks, it's spliced with a metallic layer that peeks out when left unbuttoned. Wear yours open over denim or neatly tailored pants. Shown here with: Helmut Lang Jeans, Acne Studios Tote, Gianvito Rossi Ankle boots.